1) Press the Windows key on your keyboard to bring up Windows Search. 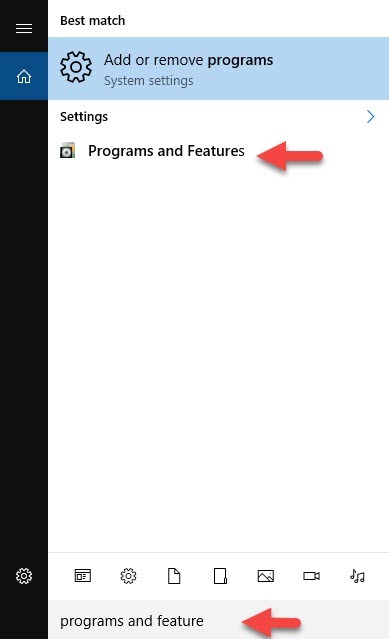 Type "programs and features". Select the search result labeled "Programs and Features" as shown in the screenshot below. 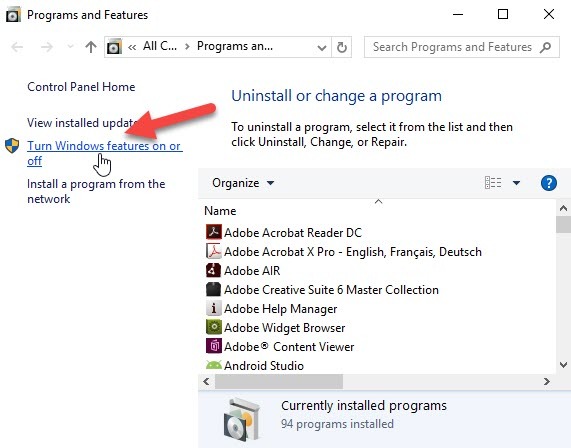 2) Click on the link "Turn Windows features on or off" as shown in the screenshot below. 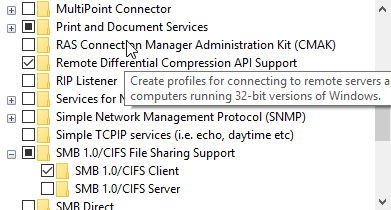 3) Make sure "SMB 1.0/CIFS File Sharing Support" box is selected. Press OK to confirm.